Be Gentle, Be Kind Avocado + Quinoa Co-Wash gently yet effectively rids hair of dirt, oil and buildup without stripping or tangling. The non-lathering, high slip formula features avocado oil, packed with hair-essential fatty acids, antioxidants, vitamin E and protein to replenish and maintain hydration from the inside out. Quinoa extract forms a protective barrier around the cuticle to shield against free radicals and retain moisture and nutrients to the hair. 1. Dispense 4-8 pumps of product, depending on the length and thickness of your hair. 2. Apply to wet hair and vigorously massage, starting at the scalp and then through to the ends of the hair. 3. If your hair has extra buildup, rinse and repeat as necessary. This is a very gentle and pleasant fragrance Co-Wash. that is not over powering at all. 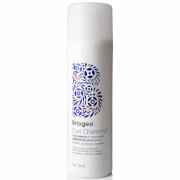 I love this Co-Wash because my hair feels soft and my scalp feels moisturized and doesn't feel dry or irritated. I have very thick, coarse hair that I wear in a natural hairstyle. 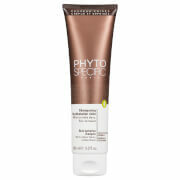 Luv this product because it help my hair keeps moisture its moisture and doesn't feel stripped. I have fine, very curly hair, that has gotten dry over the years. I have tried numerous things including primers and masks to improve the health of my hair and nothing was working. I tried this product after seeing the video about it, and I must say that I am completely delighted with the outcome. The look and feel took a bit to get used to. It doesn't foam at all and feels like you are putting lotion in your hair. It smells wonderful, and the ingredient list seems to be from a kitchen pantry. But, my hair is clean, not frizzy and instantly more manageable. Since I have been using Briogeo about a month, I notice that i have more good hair days, and use much less hair product. Also, it doesn't weigh down my fine hair. I give this product two thumbs up. I tried this shampoo and conditioning combo for 2 weeks before giving up. I have no idea what went wrong. Each time I used it parts of my hair looked clean and parts looked like they were stringy and oily. The first time I used it I thought it was my error because somd parts seemed truly clean. The next two weeks I tried more rinse time, more product, less product and nothing worked. I gave it two stars because it works well as a leave in conditioner on the ends of my ling hair. It really did everything it claims! The product both cleaned my hair and moisturized it and left it shiny and healthy looking in one step. It smells so good, too. It's kind of like suntan lotion, but in a good way. I love taking it with me to the gym because I only need this 1 small bottle. The only negative is that it truly is a small amount of product for the price. When I ordered it, I thought oh it's actually a value because that's like $10 for a shampoo and $10 for a conditioner if I were ordering from any other line. Then I got it, and I realized it's a pretty small bottle--but the good news is that it doesn't seem to take a lot of product to get the job done.